Day 1: At the beginning the plans were very varied. 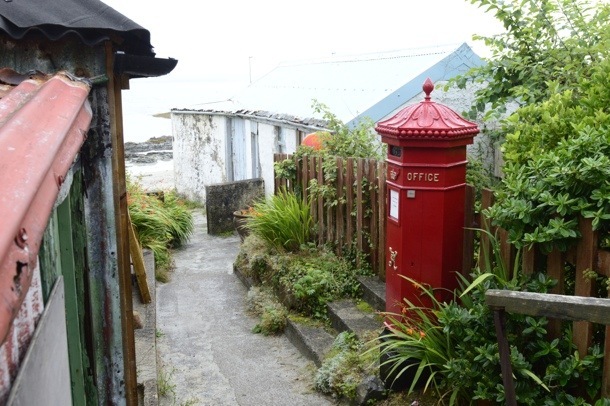 They covered an area from Shetlands ( dismissed for the price of ferry) to Orkneys (dismissed for lack of time) across to Barra and Western Isles (the unsettled weather put stop to this one) until we ended up in Oban with 10 days to spare. We decided to try something new and bought some fishing lines in fish tackle shop. We left Oban with the idea of making it past the south west Ross of Mull the next day. Sure, we like to navigate with maps that cover large areas, but probably forgot to check the scale. We made it past Kerrerra and started to cross towards Mull, but suddenly it seemed to be too far, so we ended up on Insh Island , which wasn’t that bad in the end. The evening sun made the view down towards Sound of Luing and Fladda spectacular. 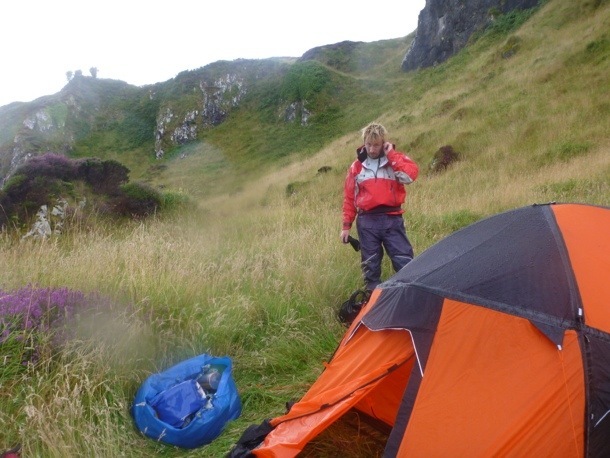 Unfortunately thanks to the midges, there was no photographer willing to get out of the tent and hence no photo. And yes, that evening we did not have fish for dinner. 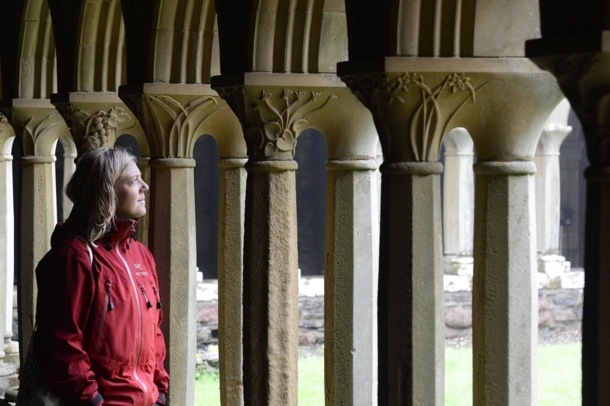 Day 2: We left Insh this time to make it across to Mull, and further along its coast. However strong headwind made it harder and we ended not as far as we wanted to be. The day was insignificant by weather or sights. We landed somewhere, but not on our map and went to bed without dinner, fish or other. 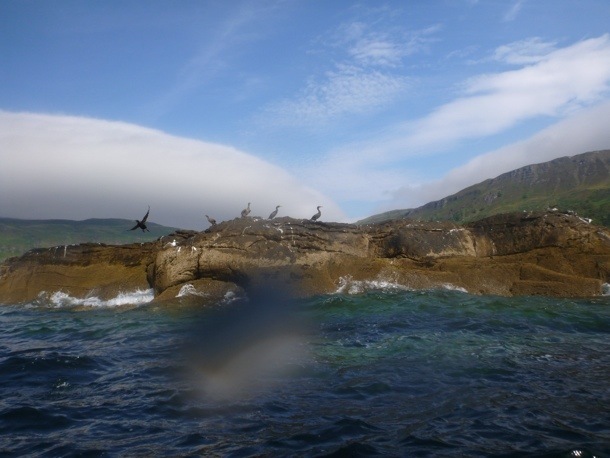 Day 3: It was time to come to terms with the fact that Ross of Mull is very long and probably the only sight that we will see on this trip. 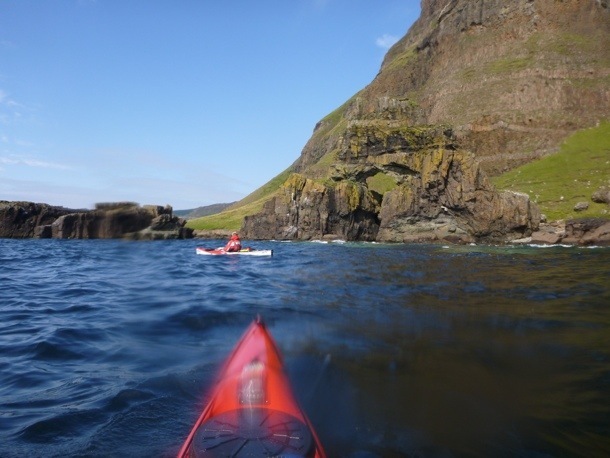 However, the cliffs were magnificent, we even saw a bird of pray, some arches, many waterfalls, there was sun and what’s more, the predicted head wind changed to local tail wind. 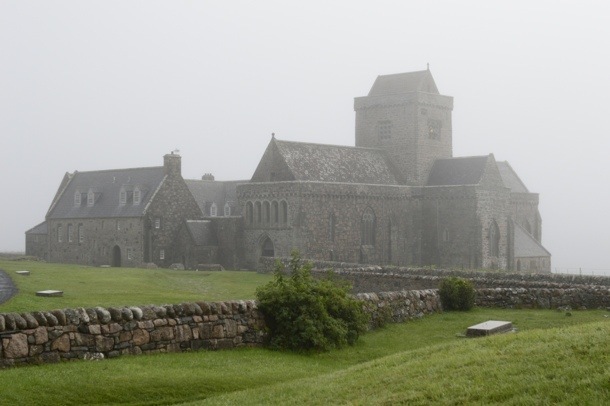 We cruised past the coast and in evening fog and rain landed on Iona. Tomorrow will be sightseeing day. But again, no fish to be eaten for supper. 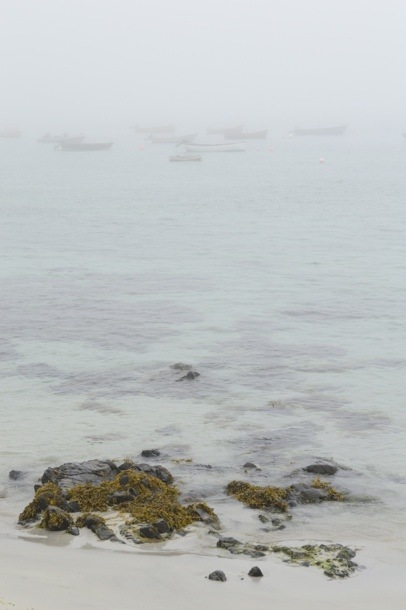 Day4: The rain stopped in the morning and we decided to explore the mystic island of Iona. Morning fog saw us visiting the Abbey and local amenities. Since there was no fishing today, we decide to give in and try local fish pie. 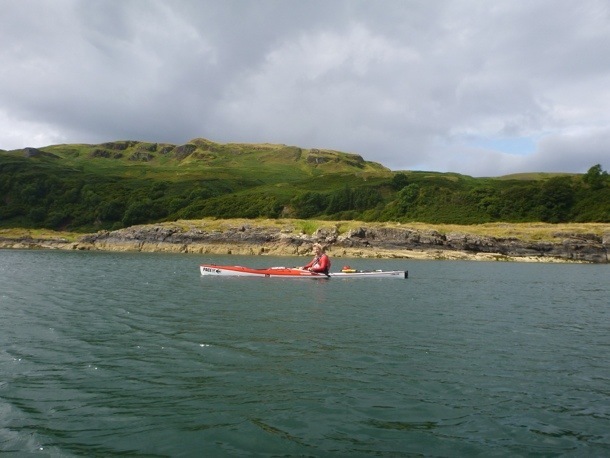 This entry was posted in Pace Tour, Paddling, Salt water, Scotland by NAtalie. Bookmark the permalink. Hey there! I’ve been following your website for a while now and finally got the courage to go ahead and give you a shout out from Dallas Texas! Just wanted to tell you keep up the great work!